Saving money is hard! If you are new to budgeting, managing your money may seem complicated and overwhelming. You not only have to be organized, but you must make challenging decisions about how to spend your money. Don’t despair! You don’t need fancy financial apps on your phone or extensive spreadsheets with dozens of categories of spending to see how your money is being spent. You simply need to follow the 50-20-30 rule! The 50-20-30 rule assists you in building a budget by using three spending categories. 50% of your income should go to living expenses and essentials including rent, utilities, groceries and transportation. 20% should go to savings, investments and debt-reduction payments. 30% of your income should be used for flexible spending. This includes everything you buy that you want, but don’t necessarily need; such as travel, going out to movies, etc. Don’t know where to start? First, determine exactly how much money you bring home each month. This will be the amount you will base your 50-20-30 split on. Then track your spending. Each and every penny of it, from your rent payment down to the coffee you stop for on the way to work in the morning. As you are analyzing your spending, split it into the 50-20-30 categories. Once you see where your money is going, you can make the needed adjustments to ensure you are falling into the 50-20-30 parameters. If you find you are spending too much on desirables versus necessities, that’s when it is time to cut back. The 50-20-30 rule works because it provides a simple way to track your spending so that you can pay your bills, add to your savings, and have money left over for fun stuff. It keeps you accountable so that you can begin to meet your financial goals. 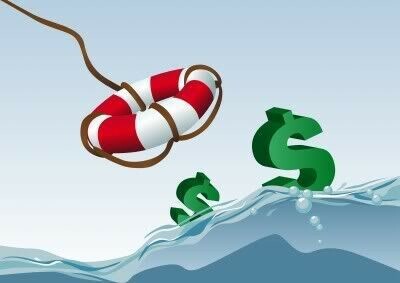 If you stay the course, you will eventually achieve financial stability!